Join us for a “Stylish After-work Party” in the club room of Aux Gazelles. 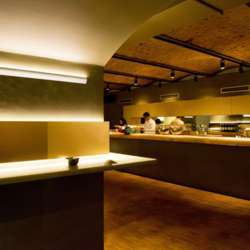 This venue is a modern and cosmopolitan place, with European and North African influences in culinary, design and atmosphere. An area where different generations and diverse cultural backgrounds meet, celebrate together and enjoy life. Together we'll share some drinks, mix and mingle and expand your network. Music by our dear Consul Axel. We offer a welcome drink for the first 100 guests.